Octava HDMI Switch UHD41ARC. 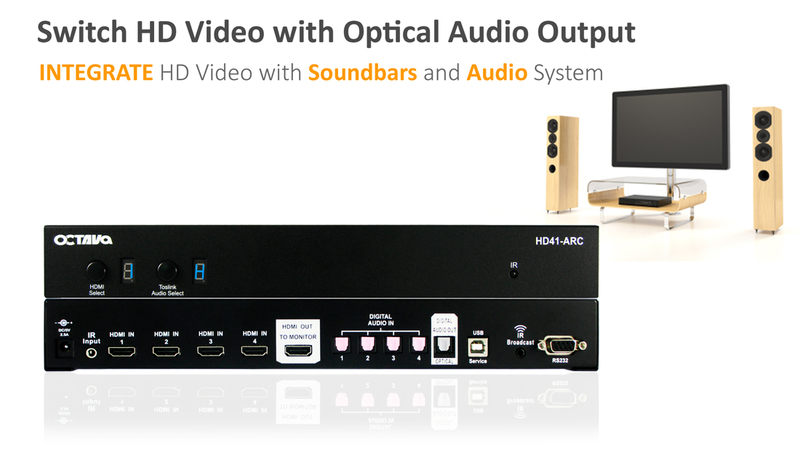 Convert HDMI audio to Optical for Sound System Integration. Simplify HDMI video switching and Toslink Optical Audio integration with sound systems and soundbars such as the Sonos® Playbar. 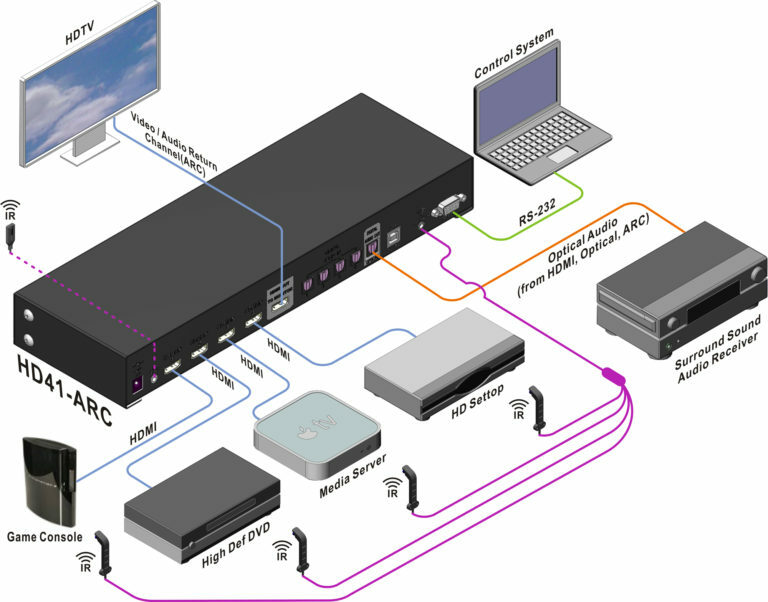 The HD41ARC HDMI switch supports 4 HDMI sources and converts the connected HDMI source audio to Optical Audiooutput. 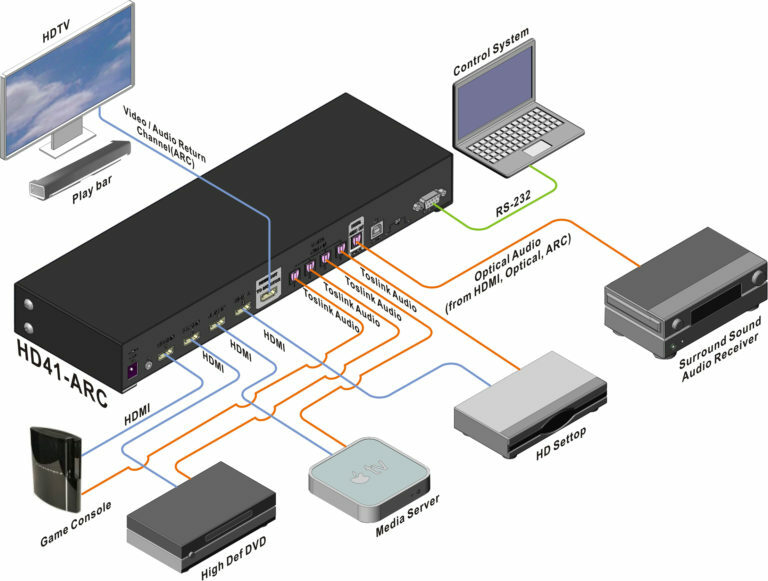 Built in EDID Management is configured with 2Ch PCM, 5.1audio fields ensuring that the connected sources can output 5.1 audio when available even if your HDTV does not supported it. Thus allowing you to get optimal performance from your sound system via Optical Audio. The HD41ARC switch utilizes the latest switching technology to provide very Fast Switching. The Octava 4×1 HDMI switch +ARC includes: 4 HDMI inputs, 4 Optical Audio inputs, 1 Optical Audio output, 1 HDMI output with ARC support. Smart ScanTM algorithm intelligently selects the correct HDMI source so you can enjoy the program instead of fumbling with the remote. 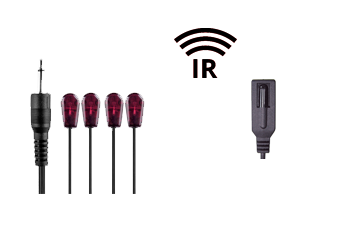 The HD41 can extend IR signals for video switching and also control connected sources installed in hidden cabinet thus allowing a clean and streamline installation. IR Extend control connected sources installed in hidden cabinet via IR.